IVONN COUTURE — Love Find Co. The IVONN Couture brand was established by New Zealand born fashion designer and businesswoman Ivonn Aranui. It is important to Ivonn that each woman achieves her vision when creating her dream couture bridal gown. Ivonn's goal is to design a bridal dress that will make you feel beautiful, elegant & comfortable on your special day. Each wedding dress is uniquely crafted to each & every client from exquisite silks, lace fabrics and embellished with pearls & crystals. IVONN Couture has the expertise to identify & create the perfect design to compliment and flatter any client’s shape, style & taste. Ivonn's distinctive designs are key in making each gown elegant, unique & exclusively for you. 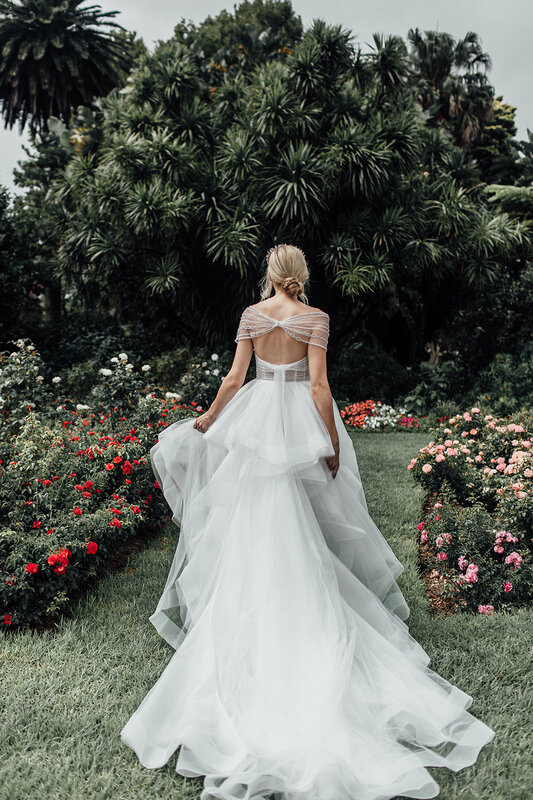 Brides can also have the option of purchasing a gown from the IVONN couture collections, with this service your gown will then be made to measure & consists of 3-4 fittings to achieve the perfect fit. We require 6-8 months’ notice for this service. Thank you! Someone from IVONN Couture will be in touch soon! © 2019 LOVE FIND CO.